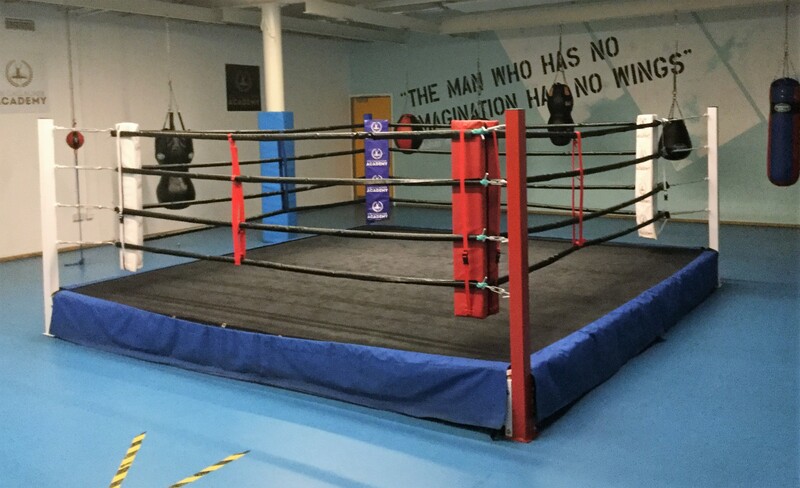 Welcome to Manchester Bee Hive – a hub for young people at Manchester Youth Zone to use their voice and share their views and anything they are passionate about! There are no limits to what topics young people want to talk about or which mediums they use. Manchester Bee Hive will be home to guest blogs, videos, art pieces, and much more! They were split into 2 groups to go around the Youth Zone to take pictures of young people doing activities. They had to remember to ask young people and staff for their permission to take pictures of them. 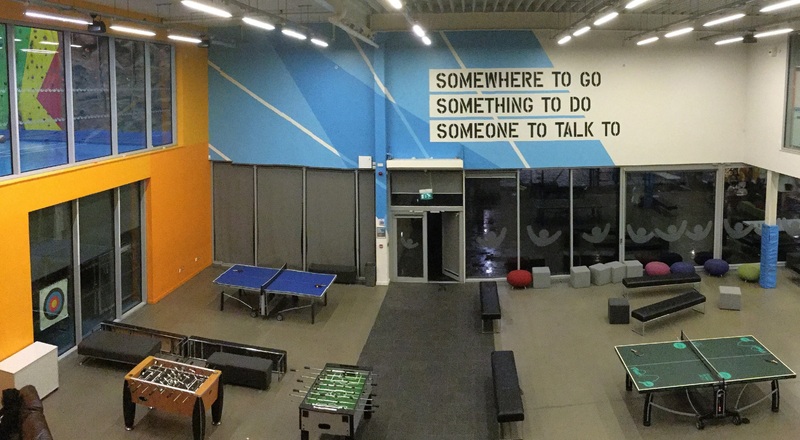 Manchester Youth Zone gives us “Somewhere to Go, Something to Do, and Someone to Talk To” but what is going on tonight? Boxing – Mo’s favourite activity. Tonight we have a coach from Joe Gallagher’s Academy to teach us. 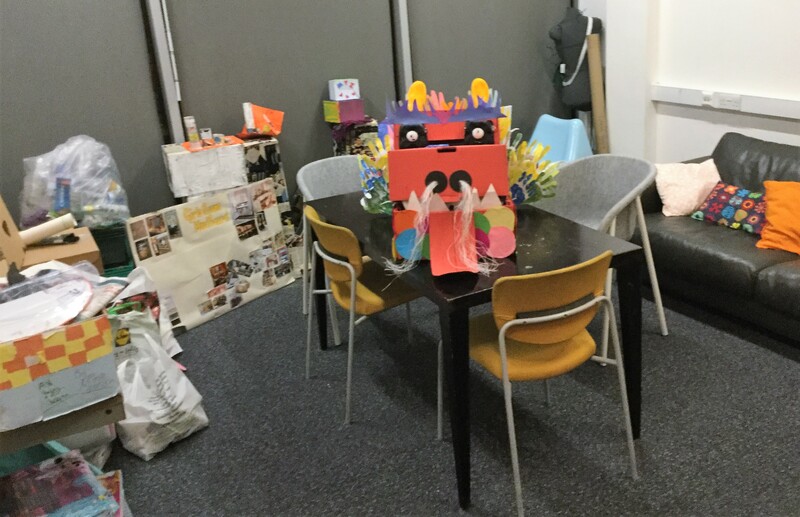 Dragon – Over on the arts table, Karl and other members have spent the last few weeks designing a Chinese Dragon that will be hung in the Youth Zone to celebrate Chinese New Year. 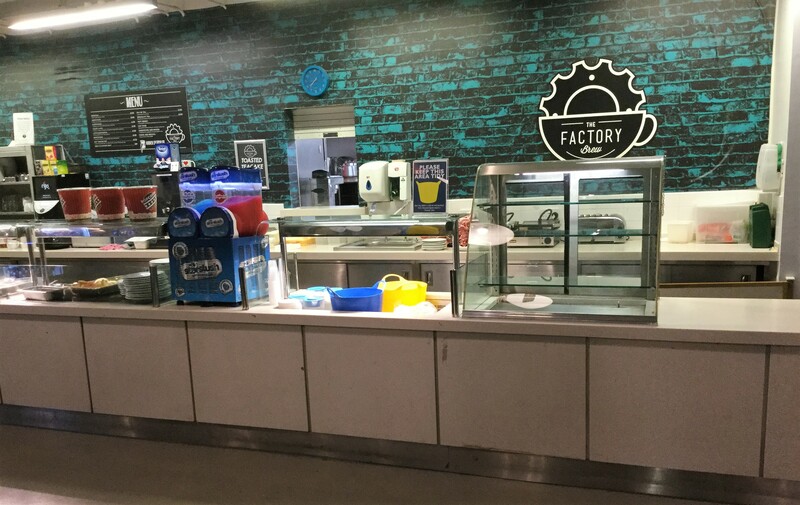 Cafe – Tonight in the cafe they are selling beef chilli and rice for £1! 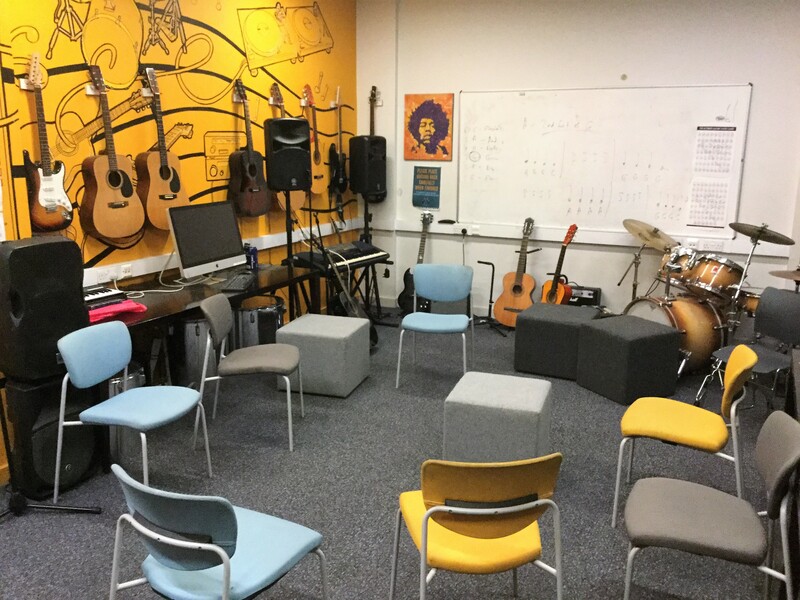 Music – there is no one in the music room as Manchester Youth Zone’s band has gone to Wigan Youth Zone with our music tutor to record their first song. Cooking – tonight on session we will be making PIZZAAAAA! The group then came back together so they could present their ideas to each other. This was the start of the course and we’ll update you with what the group is doing in the coming weeks.